Episode 16 of The Dash Podcast. 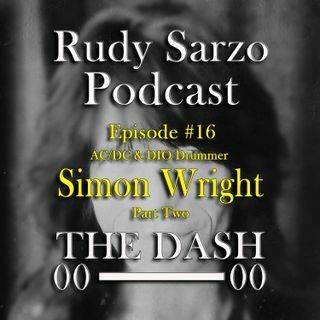 Part 2 of my introspective conversation with my DIO band mate Simon Wright. In this episode Simon shares how he auditioned and joined AC/DC at 18 years of age, playing, recording and living with Ronnie James Dio and our collaboration recording the Dream Child record.